As the metagame continues to incorporate cards from the past few expansions, we don’t only see them slotting into existing decks; sometimes, their printing enables all-new archetypes to surge into the metagame. Modern is the non-rotating format in which this happens most readily, as recently demonstrated by the likes of Humans and Hollow One. However, not every newcomer to the format makes that kind of an impact; some fade into the fringes as inconspicuously as they came. In this article, I’ll be providing an in-depth report on my testing of what I consider an interesting fledgling archetype in Bomat Red. It covers my general impressions of the archetype and its niche in the metagame, the results of my testing, and adjustments I would make to the deck going forward. The first order of business is to give Bomat Red a proper introduction. Veterans of the most recent Standard format are likely familiar with Bomat Courier, and with the early pressure and lategame value it provides the pilots of red aggressive decks. This was a strategy that was so effective, it resulted in Ramunap Ruins and Rampaging Ferocidon being banned from Standard. The Modern version of the deck is based on a similar concept, but goes lower to the ground: four-mana finishers like Hazoret, the Fervent and Chandra, Torch of Defiance are too pricey in this faster format, so the deck instead doubles down on pressuring opponents early. Some pilots looking to port the strategy over to Modern have chosen to substitute those larger threats for leaner finishers like Goblin Rabblemaster. However, the list that caught me eye went for a significantly different approach. Some interesting cards present in greater numbers here are Grim Lavamancer (an early creature that puts discarded fetchlands and expended burn spells to use in the mid-game), Molten Rain (which helps compensate for this deck’s slower clock against big mana and control), and the Searing effects. Searing Blaze and Searing Blood both remove opposing creatures while pressuring life totals, and as such give this deck more of a tempo feel than its aggro forefathers. This change in direction is reinforced by the inclusion of Harsh Mentor, a nondescript aggressive creature adept at punishing opponents for performing certain game actions. Tempo decks sans Aether Vial are somewhat rare in the current format, which intrigued me enough that I decided to purchase the necessary components for this list and run it through some Magic Online leagues and two-person queues. However, I had a few quibbles with the list as presented. It only featured one legendary creature (a sideboard Jaya Ballard, Task Mage), and the absence of any cards penalizing me for running basic Mountains made Shinka, the Bloodsoaked Keep seem unnecessary. Jaya herself also seemed underwhelming, as her reusable Pyroblast-esque effect is a bit of overkill in a deck that already figures to be solid against blue-based interactive decks by virtue of the two-pronged pressure it applies. I had issues with Ricochet Trap for the same reason. Lastly, my experiences with Tormod’s Crypt have strongly suggested it lacks the stopping power needed for most dedicated graveyard strategies. This is the 75 I settled on for my initial testing. While Grim Lavamancer and Relic of Progenitus could potentially conflict with one another, I think the self-replacing upside of Relic is tangible enough to excuse it (an instance of acceptable tension). I also filled out the playsets for Smash to Smithereens and Shrine of Burning Rage, for differing reasons. Smash got the nod because artifact hate never goes out of fashion; Affinity is a pillar of the format, decks like Lantern and KCI are always lurking, and there are targets for it in a variety of other decks (such as Aether Vial in Humans). Shrine, on the other hand, is a card I have not played with competitively, and I was curious as to how it would perform. I presumed its purpose in this list was to serve as a catchall card to come in when Searing effects or Molten Rain are poor, and I wanted to play the maximum amount of copies allowed in order to give myself the best chance of evaluating how it would fare in that role. My testing preferences remain unchanged: I generally like giving a prospective list a 100-match trial to minimize the effect of variance on my assessments. However, I knew the timeline for this report would be insufficient to gather such a sample, so I decided to simply gather as much data as possible. My initial expectations were that the deck would hold up well against creature-based decks, but struggle against any deck where Searing Blaze and Searing Blood are dead cards. This would give it a well-defined niche as a deck excelling whenever creature decks are popular, which is a scenario we have seen in Modern before. Since I faced a variety of different decks, I have decided to present some aggregated results in order to provide some additional information. As illustrated, the deck has been rather hit or miss throughout the testing period, and some of that is due to pairings. Bomat Red indeed holds up well against creature-based decks of various kinds, and was generally solid against ramp/big mana decks. 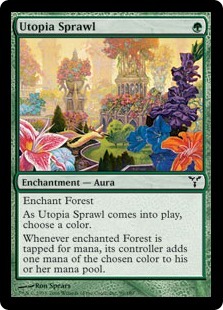 That’s also unsurprising, as Searing effects can zap Arbor Elf to cause massive tempo losses. Molten Rain can also take out Urza’s Tower, Valakut, the Molten Pinnacle, or a land enchanted by Utopia Sprawl. Interestingly, the deck also performed versus blue control decks of various stripes, validating my decision to forgo playing Jaya Ballard, Task Mage and Ricochet Trap. It also suggests that Searing effects getting stuck in hand does not adversely affects these matchups too much. On the downside, Bomat Red predictably struggled against graveyard-based strategies like Dredge and Hollow One, where its disruption is either insufficient or ineffective. It also was outright abysmal against midrange decks of all stripes, failing to win a single match. All too frequently in those matchups, my hand was either picked apart and I failed to mount a credible offense, or my hopes were dashed by spot removal on my refuel mechanisms followed by a sweeper. The deck also had a tough time with large creatures – anything from a Gurmag Angler to Hollow One to a Scavenging Ooze that goes unchecked caused big problems. The combo matchups were also highly polarized. Decks that I could interact with, such as Storm and Counters Company, yielded tight matches; decks where I struggled to interact, such as Ad Nauseam and Bogles, were uphill battles. In addition these general observations on Bomat Red, I took detailed notes on each card’s performance. Bomat Courier: The deck’s namesake has generally impressed. It gets bricked by pretty much anything, but stashing two or more cards under it is enough to make cracking it a profitable exchange, and the resulting refills have allowed me to close out the game. Forked Bolt – Forked rarely takes down anything bigger than a mana dork on its own, the ability to damage two targets has rarely been relevant, and sorcery speed has occasionally been annoying. This feels like a spot that can be improved. Eidolon of the Great Revel – A handy creature for pushing some extra damage through, either as an attacker or through its ability. Because Bomat Red is not quite as aggressive as Burn, pilots must exercise care when casting spells into Eidolon, especially against aggro. Grim Lavamancer – Four copies feel excessive in matchups where Grim doesn’t die, but it is often a priority removal target, and the deck feeds it well. Harsh Mentor – This card has somewhat exceeded my expectations. 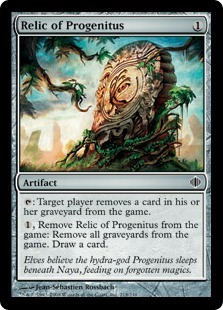 Its effect covers a wide variety of common cards (fetchlands, manlands, and even Aether Vial), so it generally produces two to four damage in the first turn or so after entering the battlefield. It has been blanked, but only rarely. Lightning Bolt – Not much to say here. Bolt’s the most played card in the format for a reason. Molten Rain – When this card is good, it’s amazing. Some opponents never truly recover from getting thrown off-curve by it, and breaking up Tron, cutting off colors, or bashing manlands are all relevant tasks for Rain. Rampaging Ferocidon – I was surprised by this card’s strength. Three-mana creatures without enters-the-battlefield effects that also fail the Bolt Test are typically not successful in Modern, but Ferocidon has two highly relevant effects by shutting off lifegain and pinging opponents for casting creatures. A 3/3 with menace is also difficult to block when backed up by all of the removal this deck has at its disposal. Searing Blaze – This Searing effect is the best of the two, mainly thanks to its increased stopping power and the fact that it damages opponents no matter what happens to its target. That said, only running eight fetchlands in such a mana-hungry deck occasionally complicates triggering landfall on the opponent’s turn, so I have occasionally fired off the “unkicked” version. Searing Blood – This card is somewhat weaker than its similarly named cousin, but more reliably provides reach against creatures that can’t sacrifice themselves in response. Containing opposing creatures is a very high priority for Bomat Red, so I feel that having eight copies of this effect is appropriate. Ramunap Ruins – This card was critical as flood insurance. We’re quite mana-hungry, hence the 22 lands. However, our lack of cantrips sometimes makes us flood out in the mid-to-late game. I have closed out several matches by cracking these Deserts, and while the painful mana is an occasional bother, it’s not enough of a downside to dissuade me from running the Ruins. Damping Sphere – This card’s inclusion was somewhat experimental, but Sphere has been a very strong contributor. Not only does it come in against the usual suspects (Tron and Storm), but it also helps against stuff like Infect and Kiln Fiend by making it harder for them to line up their pump and protection spells against our barrage of Bolts. The three copies have been exceptional, and I may look into clearing out some room for a fourth. Relic of Progenitus – I went for the heavier-duty graveyard hate option, and I do not regret it. In fact, I may look for additional tools to complement Relic, as many of the decks I bring this card in against are pretty lousy matchups. Shrine of Burning Rage – While I have certainly ended some games with a big Shrine activation, this card feels like the sideboard’s weakest link. It’s often a step too slow to matter, and as an artifact is somewhat vulnerable to splash hate from anyone looking to destroy Relics or Spheres. I am definitely in the market for a replacement option for creature-light matchups. Smash to Smithereens – An excellent sideboard card. I even bring these in against utility permanents like Aether Vial; it might seem a bit narrow in such circumstances, but the payoff is high enough to mitigate the risk of it being a blank, and the presence of Bomat Courier‘s ability to get you a fresh hand means that even dead copies of the card are rarely going to sink you. Overall, this deck seems like it has some potential to be Modern-playable, but my rather uneven results and poor performance against midrange suggest this is not the optimal 75. I would consider cards such as Flame Slash or Roast to give the deck more bite against opposing fatties, and a consistency booster should also be experimented with. Faithless Looting is promising if the inherent card disadvantage can somehow be mitigated, as is a dual-use spell like Magma Jet. Alternatively, perhaps we imitate the Standard deck and look into how finishers such as Hazoret the Fervent and Chandra, Torch of Defiance would do. While Bomat Red is the new archetype I’ve chosen to focus my energies on, there are several other cards that have real promise going forward. If you’ve been brewing with some unlikely candidates and come up with a new archetype you’d like to share, drop me a line in the comments. Flame of Keld and Faithless Looting are definitely cards for this sort of deck to test, though probably not at the same time. I’d like to see what you’ve come up with. Thanks for another great read. A buddy of mine is trying the MagicAids version of goblins, which used Bomat Courier and he’s having some success. The card seems like the real deal and it’s great to see people finding new and inventive ways to put a card to use. The last few sets have given players some interesting cards to brew with, especially Dominaria. Myself, I’m working on putting History of Benalia to work in a W/G Enchantments deck that utilizes Starfield of Nyx to turn HoB into a more potent version of Bitterblossom without the drawback. I’ve seen Cheeri0s decks running Valduk. Tron decks main boarding Broken Bond. The world of modern is a cool place right now. Bomat in Goblins sounds pretty interesting. That deck is always in the market for means to refuel, and Bomat seems like it fits in well. WG Enchantments with History of Benalia also sounds pretty good. Got a list you’d like to share? What about change plane mountains with snow covered and add skred. Also while it shuts down instant landfall trigger and some of the graveyard fuel for excessive numbers of lavamancers I would consider blood moon for sideboard due to its inherent power. Btw: just musing…any love for chainwhirler, slagstorm or mizzius mordar as a way to sweep board and not hurting itself? Also I like sone amount of ratched bonbs ib my monored to get clean some threats that rex is not able in itself.